Congrats! You've installed the plugin and configured it to integrate with Scout. Now you're ready to embed the form and start collecting new leads! 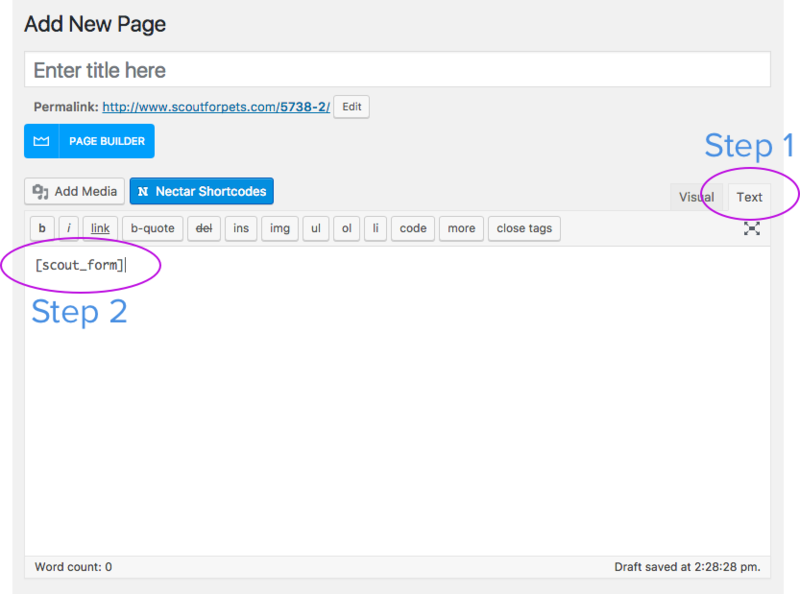 Wordpress allows you to embed specific pieces of functionality with a feature called short codes. When you installed the Scout for Wordpress plugin, it enabled a short code called [scout_form] . You embed the form on ANY page you'd like, just by inserting the [scout_form] short code.